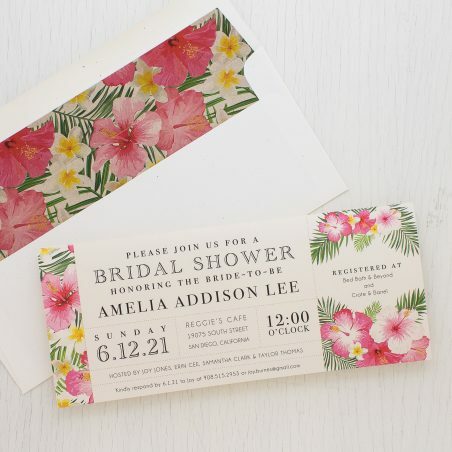 It’s a girly garden party! 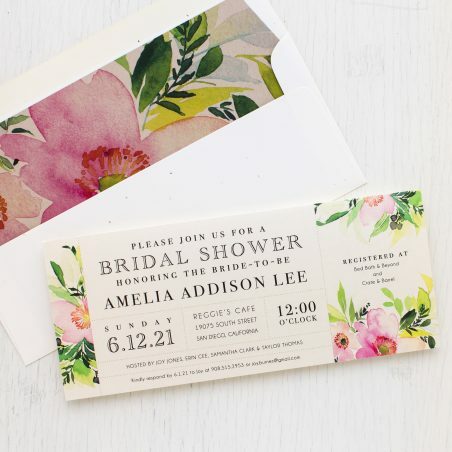 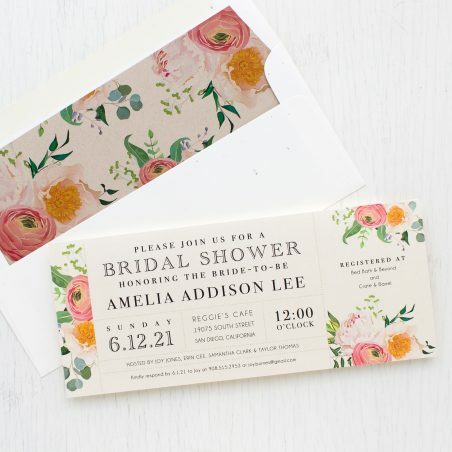 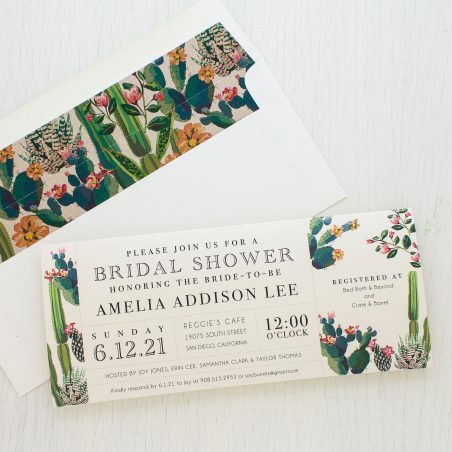 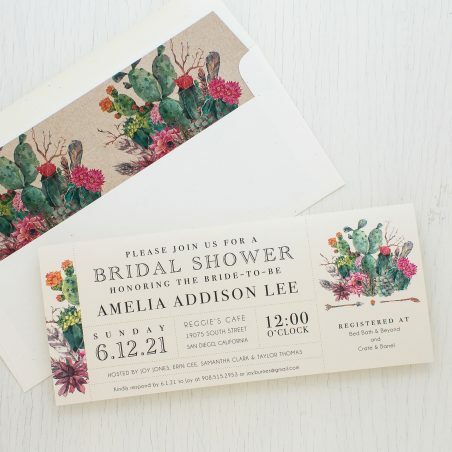 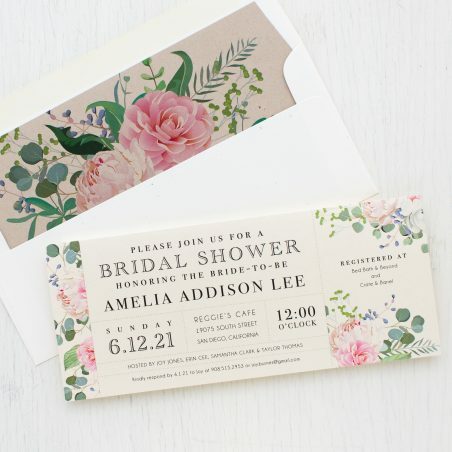 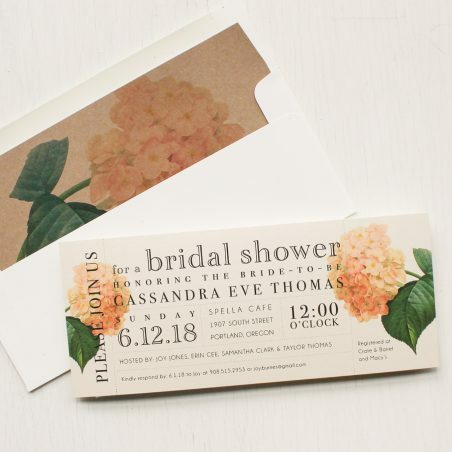 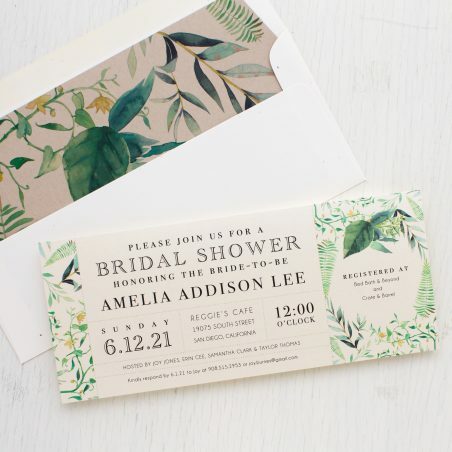 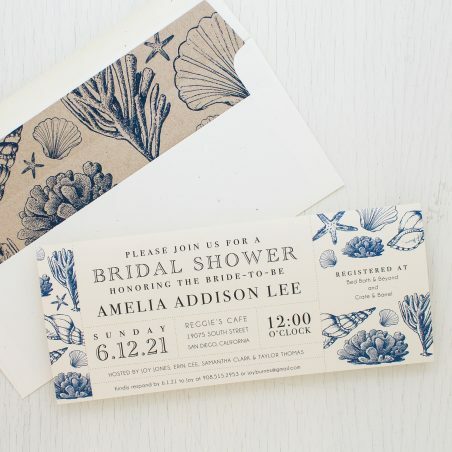 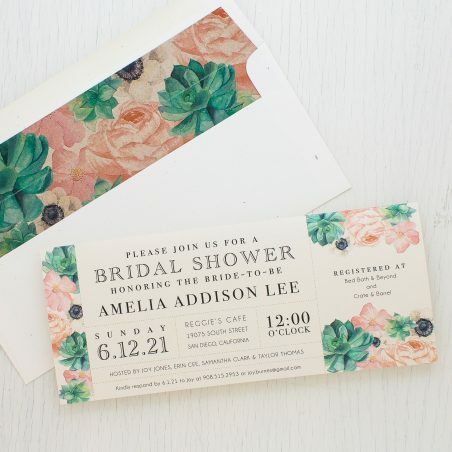 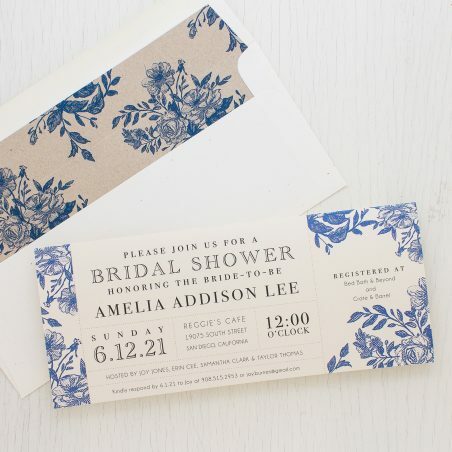 Delight your guests with these adorable garden party bridal shower invitations. 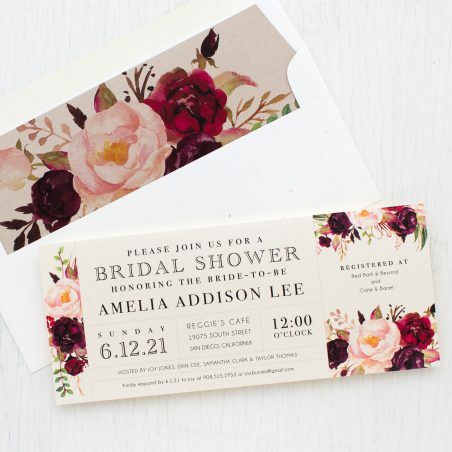 With a variety of colors and patterns, you’ll be sure to find the perfect one for your bridal shower. 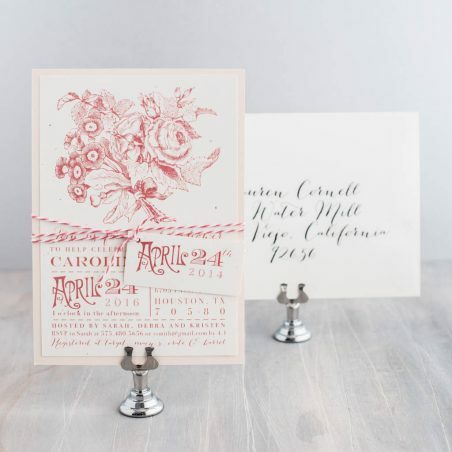 Our unique long cards come printed on luxe pearl shimmer paper. 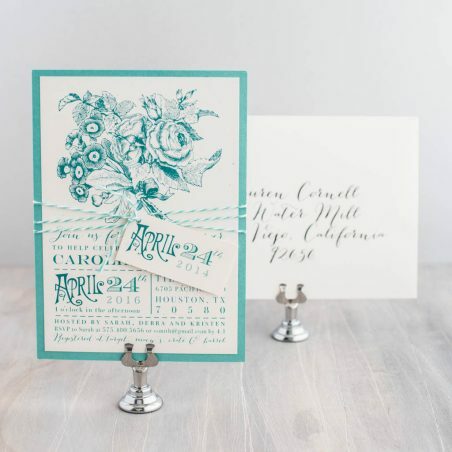 They offer just the right amount of vintage flair! 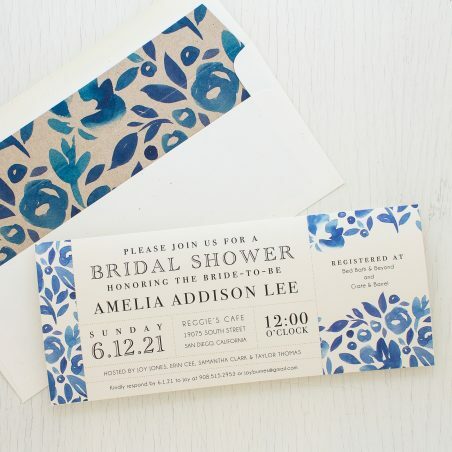 Each set includes handcrafted matching envelope liners. 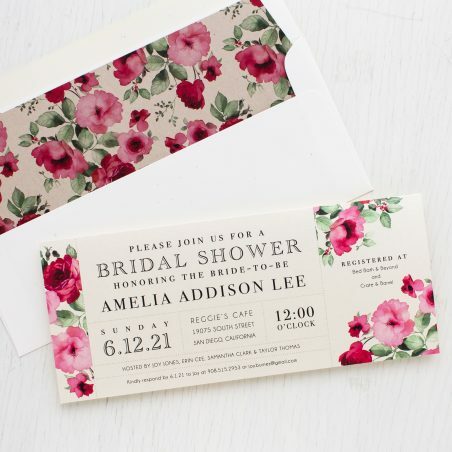 Add guest addressing to complete the look!